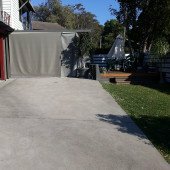 This driveway space is located in Mona vale and available to lease. There is a 24/7 attendant to watch over the car, and there is a Police Station at the end of the street. Highly secure! CloseDon't miss out...Enter your email below to get notified of exclusive parking offers and discounts in Mona Vale.